One of my greatest achievements in life is the creation and continued success of Aussie Helpers Charity. Some people say my story is inspiring and motivates them to do more for others, I hope it has this effect on as many people as possible, because I truly believe the world would be a better place if it were true. Below is more about my story, I hope it inspires you to fight through hard times like I did. I’ve never looked back. With no income for his time, no assets to his name, Brian’s life revolves around helping others, and always will, it’s his passion. He believes in it, he enjoys it and he made the conscious decision to live the life he does, no one forced him. Brian is supported by his ever-loyal wife Nerida who also gave into a life of dedication, sacrifice and support for her husband, so the two of them, whether together or apart, can testify to saving famers’ lives, keeping farming families together, and feeding starving animals. 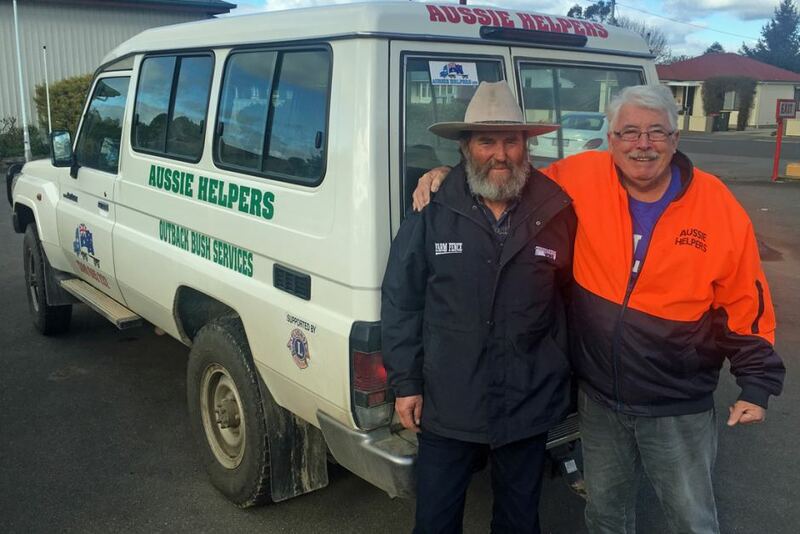 Brian and Nerida have now been working on Aussie Helpers for 15 years, and have never been paid a penny for their time, because it was never about the money. It was about compassion and caring. They both still live in central Queensland where they run their charity from, and over the years, as the donations started to trickle in, they carefully invested in the ongoing needs of the charity, and eventually a shed to hold the stock. Brian was targeted by the ABC TV show Australian Story in 2007 for a full feature episode on his life, his illness, his recovery and his charity Aussie Helpers. It was an epic episode for the ABC, one of their most popular to date. 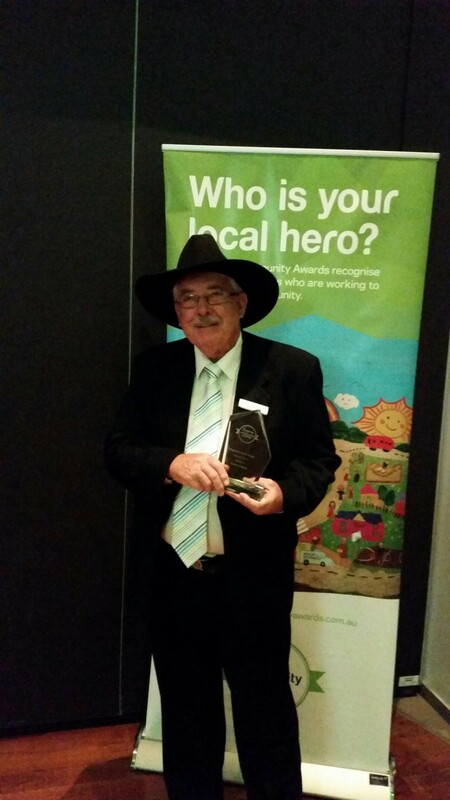 Brian has been nominated for Australian of the Year and was the QLD Senior Queenslander of the Year 2008. 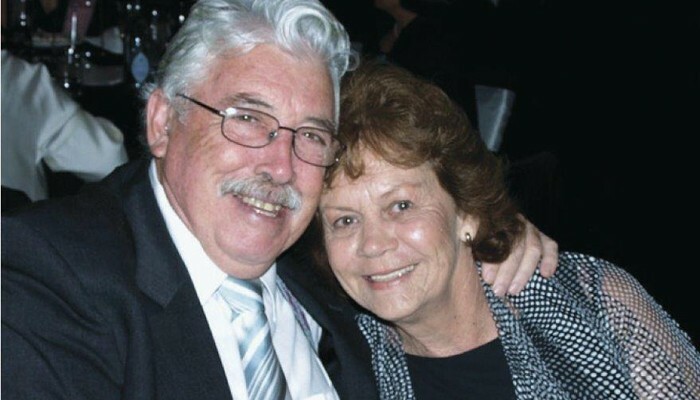 As a result of the hard work of Aussie Helpers Team, including Brian & Nerida, they have won a multitude of Awards including an Order of the Outback Award 2014, the St George Community Award 2014 and the Regional Impact Award in 2014. Brian himself has also been the recipient of a great accolade of recognition by his peers including the Regional Achievers Awards & Community of the Year winner 2005, the Pride of Australia Medal Mateship finalist 2007, Senior QLD Australian of the Year 2008 and most recently and highly regarded the Australian of the Year Nomination for two years running in 2014 & 2015. Brian has an endearing “matter of fact” personality, people often are drawn to the kind of person he is and love to have him as a friend or a colleague. His unassuming and friendly manner is a favourite with everyone he meets, and his non-stop work ethic has to be seen to be believed. Brian is a shining example of how anyone, at any time in their life, can make the decision to dedicate their life for someone else’s well-being, even someone they don’t know. Formerly a farmer himself, Brian and his family started out their country life adventure like many other Aussie farming families do, they set out in 1990 to start a fresh life in the unpredictable yet alluring Western Darling Downs in Queensland. Brian was no stranger to hard work and discipline having served in the Australian Navy during the Indonesian Confrontation and the Vietnam War in the 1960’s. Despite his earlier years of service challenges, Brian was still able to move forward with his wife and children after retiring from the service. Unbeknownst to Brian the emotional torment that inflicts many soldiers well after their service is over, was silently brewing in his mind and chiselling away at his sanity. When tough times hit his farm in the mid 1990’s, his ability to cope and continue dwindled, soon he lost his will and his way. Thankfully he sought help just in time, and with the support of his wife and family he emerged on the recovery path from his diagnosed depression only to find his financial well-being had disappeared. With the fighting spirit that got him through the wars, it was as a result of a reaction to a counsellor’s passing quip that he should “find someone whose worse off than him and help them”, to assist his recovery. With a passion for the land, and the people that dedicate their lives to harvesting the land, Brian and Nerida set up a small home, with no money, no backing, no support and no master plan, and just started to help others. Brian has been featured in many radio show interview and discussions, he is also sought after for TV interviews including Channel 7 and Channel 9. As a lone stand out star for our hard working farmers, Brian pioneered the “never give up hope” idealogy for farmers, afraid that not supporting them in their darkest days may lead to self-harm. You can help Aussie Helpers today by visiting our Donations page for donation options.